Let's move into this first with a history of Averse Sefira. Wrath: We formed in early 1996. Basically, we decided that we had something to offer to the genre with a certain vision and aesthetic that was our own. We wanted to take the established standards of black metal and create our own mythos through it. What would you say you wish to convey to the listener through your music? Sanguine: An ethic or a work ethic of sorts. A form of (self)improvement through perseverance. While we don't really write to convey a message specifically, there is an underlying theme that finds its way into the songs. Since we are conceptual in our approach, we work from a story line that our songs revolve around. In short, there are extracelestial beings that we have extrapolated out of esoteric texts that have come to earth to make the world a worse place so that humanity will go through a self-ascendance and reclaim their own divinity from those that would lay claim to such a mantle. Wrath: All the songs are a grand story of the celestials and their role in the scheme of the universe and humankind. What are some of the things you represent, as a BM musician, and outside of music? Wrath: I represent a code of honor, one I have devised through life experience. These ideals predominate my music and my life. I revere individualism, even though not everyone's concept of that matches my own. I think one of my biggest priorities in our work is to stand out however possible. Sanguine: Conviction. Professionalism. Integrity. These things I try to represent within and without the music. Its been said many times that black metal is not necessarily about the way a band sounds, but its more of a movement, a philosophy. Would you agree with this statement? Sanguine: I think it's a combination of all of these things. There are some people who say that black metal must have Satanic lyrics but if that is true then Deicide and Incantation would be black metal. I think there is a "sound and style" to black metal, there certainly are enough bands that call themselves that and sound very much alike, just as there are death metal bands. But it is also a movement and philosophy. A "lifestyle" to use so distasteful a term. The movement aspect has sadly become diluted in Western Europe and is woefully unfocused in America, but there is a glimmer of hope on the eastern front. The actions taking place in Poland and Russia are very exciting. 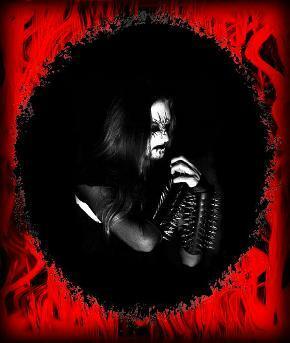 Wrath: I think that black metal is most definitely a musical approach as well as a philosophy. Even if Cannibal Corpse had satanic lyrics, nobody would call them black metal! I do think that black metal is the most philosophical of all extreme music subgenres, and in order to truly capture the appropriate effect, bands must have a well-set philosophy and purpose in mind to create what most call black metal. What one emotion do you feel best represents the music of Averse Sefira? Wrath: Desire- be it for revenge, belonging, glory, or truth. Sanguine: Emotionally, the songs seem to be formed/written out of cycles of depression, of bitterness and resentment, but when they are completed, there is a sense not of happiness but very much a celebratory level of aggressiveness that comes out. Wrath: Actually, like most of our songs, those lyrics stemmed from real life. I wrote those songs together as a concept of being immortal and how it could be a liability if such immortality went sour and became misery. They were inspired when I was left behind by someone close to me and I was forced to continue my everyday life without that person. There were times I wished I would simply be extinguished, but I knew that I had to continue and live, even if I didn't really want to at times. Basically I took that idea to a larger concept that fit within our story arc. What does Averse Sefira mean and why was it chosen? Sanguine: In short "opposing angel". As an interesting side not, if you drop a couple of letters, in Arabic it means "Belief in Nothing". The choice of name is one of those events in life that seems inconsequential, but proves to be one of the most important decisions ever made. Wrath: I always marvel at the way that such a strange name sticks with people. It is really a portentous name that gets attention and draws curiosity. Explain your thoughts on Christianity in as much detail as possible. Explain to us, in your opinion, the reasons for it being so widespread. Do you see a decline? Wrath: I hate it, quite simply. It contributes to the detriment of society, especially in America. People are simple and afraid of the unknown, and that is why it remains widespread. All you need is desperation or fear to be a Christian. I think it is disappearing from the mainstream because it preaches against what most society thinks is "cool" this week. However, with that comes its more aggressive and dangerous presence in the fundamentalist community. Sanguine: To cut through the fog: I am anti-Christian. I have always been this way. To this sentiment have been attributed varying levels of fervor or vehemence on my part. At times frivolous, at times at an all-consuming obsessive pitch. Where I was thinking of everything, no matter how mundane in metaphysical and theological terms. In my own ways and times, I have sworn allegiances to the devil, to myself, in Laveyan in medieval terms and all things dark and dismal. As a constant, I have always considered Christianity to be a crutch for people too weak and afraid to run their own lives. That has always been and shall always be. I have attributed its pervasiveness to being not unlike a virus, a socially transmitted disease. But again I would say its overall spread is due to weakness on people's part. Children get in on it because of their parents and generally they don't ever bother to question it. They accept it and live their lives. Those lucky enough to look behind the curtain either just abandon it or fight against it. I have chosen the latter. The greatest threat to those who walk a different path is a weakening of conviction or fortitude as they get older. Those who begin to fear their mortality often falter and return to the church as a last ditch source of comfort and insurance. It is because of this that I do not foresee a decline in this religion- it has become too institutionalized for it to disappear. Emperor Constantine had his chance to kill it off but embraced it to preserve his power. I still observe and work it out on a grand scale, but there's too much going on right now to give it more than indifference in any immediate small-scale. In your band logo there lies a pentagram. What is the motivation behind this? 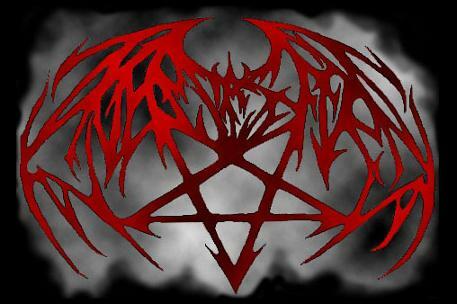 Sanguine: The logo was conceived as a "demonic being" emerging out of the pentagram. Earlier versions of the logo had a face within it, but it was always supposed to be some living THING. The pentagram, pointing down (the correct way, as we like to think) represents the elements- earth, air, fire and water- or nature over spirit or man. Relating back to our concept whereby the earth is being made worse to force man to forge a new divinity. In sharp contrast of Christianity, tell us your thoughts on Satanism. Wrath: Sometimes it actually gets tiresome to talk about. I think it speaks for itself as a philosophy and does not need to be exalted constantly, lest it become just another version of Christianity with a different label. Sanguine: I think it is fascinating and alluring in all of its forms. It certainly has the best aesthetic, no matter what brand you buy. What did you think upon hearing the news of Anton Lavey? Sanguine: It didn't shake the foundations of my existence. I did think it was very hokey and immature of the Church of Satan to change the date of his death so that it looked like he died on Halloween. Wrath: I think if anything it exposed the nature of his flock- all image, no real conviction. For that church it seems to be all about how they are perceived by the outside world, which undermines the whole Satanic ideal. The state of human existence is a fragile one. And the balance between man and his world is no different. We are a part of nature, as nature is a part of us... and it was once said 'Nature does not belong to us, we belong to nature.' Your thoughts on the decay of this balance? Wrath: Like all other permutations of monkeys, we will one day disappear. I don't expect this will happen in my lifetime, so I don't ruminate on it much. Sanguine: I give credence to the notion that the earth will one day turn against us and wipe the slate clean and start over. It may take another million years but it will happen. It is the way of things. Everything has its end, and it would foolish to think we are an exception. Nothing lasts forever but nothing itself. Many are awakening to a world which grows darker by the day. Explain to us your thoughts on the world in general and if you see a hope for its future? Do you believe things will grow worse before better. Sanguine: The joys and woes of human existence are, on a whole, fairly relative. The world has always been more or less the same, cycling through differing societies and civilizations rising and falling. Overall, things have gotten "better" as our society has "advanced", but we still take regressive steps every day. I'm not sure that there is ever and worsening before any group snuffs it, that just seems to happen. People have been clamoring for the end of the world for centuries now and the wheel still grinds infinitely on. Wrath: For every achievement we have in humanity, there is a setback. For every piece of art painted or recorded, 1,000 R&B albums become available. For every enlightened philosophy devised, thousands join fraternities. I guess until our final denoument on this planet there will be constant competition between those thing that make the world better and that which makes it worse. On the topic, what do you think of the idea of 'Armageddon...' a great disaster or a series of them that will hurl man into either oblivion or chaos. Your thoughts on the very real possibility? Sanguine: When the book of Revelations was written, that was the Armageddon as far as John was concerned because Nero Caesar (the beast whose name in Greek totals 666) was burning Jerusalem, so to him his world was ending. I don't discount the possibility of some kind of nuclear annihilation (super viruses, designer plagues, chemical weapons, etc), but the chances of such an event seems dramatically less than 10 or more years ago. I don't give too much thought to the Y2K and other current millenialism, yet it is within each of us to have our own personal Armageddon when our immediate world is thrown into chaos. If you're on top of your life, the chances are lessened, but anything is possible. Wrath: Well, if it happens I doubt it will be set to Aerosmith's music! No, actually, I don't think we will die from one big catacyclsm. Humans are almost viral in our ability to cling to the earth's husk no matter the circumstances. Ultimately it will be a slow burn for our extinction. That seems to be the way we're designed. We all question our mortality from time to time, now let me question yours... when the day dawns that marks your last, and as you lay dying, what do you envision might be on your mind in those last fatal moments? Sanguine: I will think wistfully of the killing spree I always talked about but never went on. Wrath: That all depends on when I was to die. 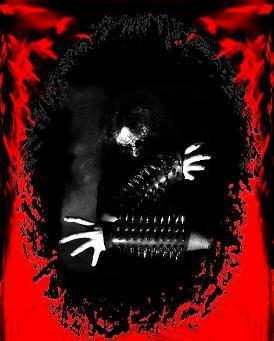 As of now... well, I think they would be sentimental thoughts unbecoming of a fearsome black metal musician! Lastly, how can interested readers obtain material from Averse Sefira? Currently we are shopping our full-length album to labels, so it isn't available yet. We have shirts and videos for sale, though. Consult our website. Final comments and words of wisdom? Wrath: Good blood! Thanks for such an interesting interview.